Brand: CK Products 88-550 Units: 500/pkg. Use pencil pops instead of sucker sticks! Put the "stick" part of the pencil pop into the cavity where the chocolate/coating will be. Completely cover "stick" part of pencil pop with the chocolate/coating. 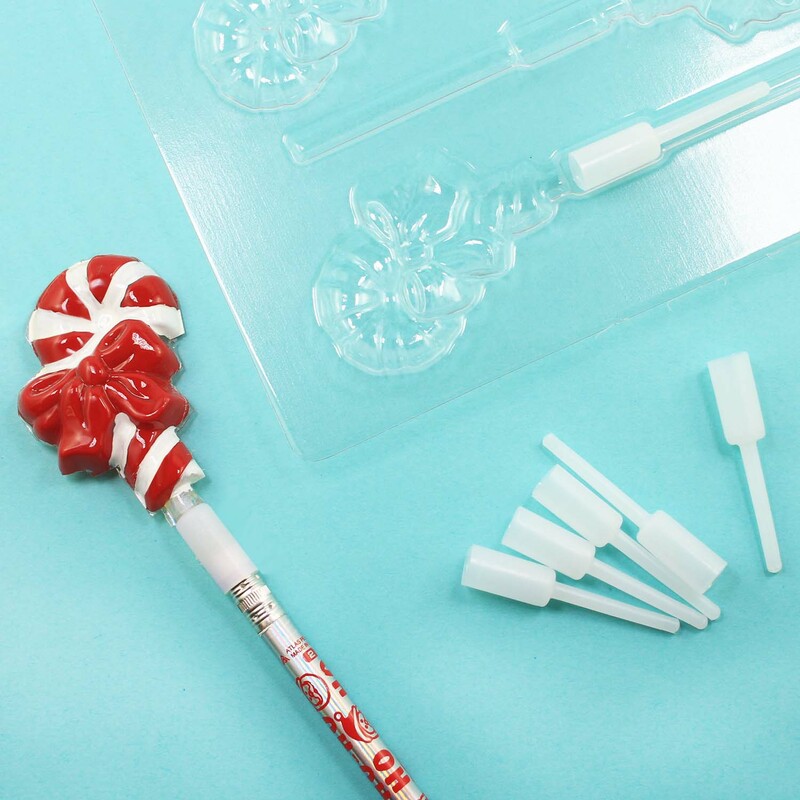 Place filled candy mold with pencil pop in freezer. When candy is set up, remove molded candy from candy mold. Hanging onto the pencil pop, not the candy, gently twist the eraser end of a pencil into the pencil pop. Great for hard candy suckers too! Choking hazard: use caution with young children. Use pencil pops instead of sucker sticks! Put the "stick" part of the pencil pop into the cavity where the chocolate/coating will be. Completely cover "stick" part of pencil pop with the chocolate/coating. Place filled candy mold with pencil pop in freezer. When candy is set up, remove molded candy from candy mold. Hanging onto the pencil pop, not the candy, gently twist the eraser end of a pencil into the pencil pop.